Sen. Chuck Grassley, R-Iowa, during a Senate Judiciary Committee hearing last December. Grassley had stinging words Thursday for Attorney General Jeff Sessions, who opposes a birpartisan bill that would reduce some mandatory minimum drug sentences. The Sentencing Reform and Corrections Act would put more power in the hands of individual federal judges and pave the way for about 3,000 federal inmates punished under old crack cocaine drug laws to ask courts for leniency. It also creates incentives for low-risk prisoners to participate in programming and ease their return to society. The bill has attracted broad bipartisan support in the divided Senate, with nearly two dozen sponsors from both political parties. That's a source of pride for Judiciary Committee Chairman Chuck Grassley, R-Iowa. But this week, on the eve of the committee vote, Sessions went out of his way to send a letter to Grassley calling the legislation a "grave error" because he said it would "reduce sentences for a highly dangerous cohort of criminals." That prompted Grassley, his former colleague in the Senate, to unleash a biting personal attack. "We value input from DOJ, but if General Sessions wanted to be involved in marking up this legislation, maybe he should have quit his job as was talked about last November and run for the Republican Senate seat, now held by a Democrat, from Alabama," Grassley said before the committee vote Thursday. 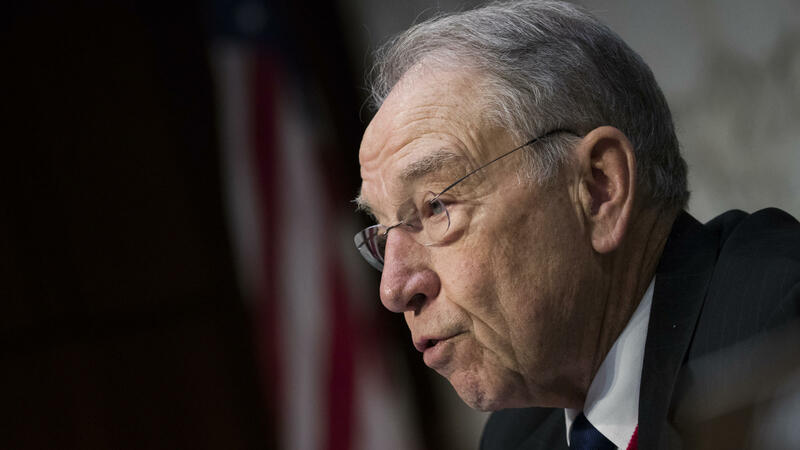 Grassley noted that Sessions was a controversial choice to serve as the nation's top law enforcement officer, but that the senator had shepherded him through the process. And, Grassley added, he defended Sessions again last year after President Trump moved to fire him — only to be paid back with an unwelcome letter targeting a bipartisan compromise he had worked hard to achieve. "This is not something you should do to a friend," he added. Through a Justice Department spokeswoman, Sessions declined to respond. About half of inmates in federal prisons are serving time for a drug crime. In his letter this week, the attorney general pointed out that the country is in the throes of a deadly drug epidemic, with tens of thousands of overdoses from opioids like heroin and fentanyl alone. But Kara Gotsch, director of strategic initiatives at The Sentencing Project, said tougher punishments for most drug criminals will not solve the problem the Trump administration has identified. "Excessive sentences for drug offenses have never curbed drug epidemics, but instead have diverted needed resources from prevention to incarceration," Gotsch said. One of the five Republican lawmakers who voted against the bill Thursday was Sen. John Cornyn, R-Texas, a member of Senate GOP leadership. Cornyn said he is convinced the broad sentencing and prison overhaul bill will not win approval from the White House. But, he said, carving out a smaller portion, that covers programs to help inmates win credits for early release if they attend, "that's a subject on which we can actually get a presidential signature." Separately, the third in command at the Justice Department said she would formally leave her post next week. Associate Attorney General Rachel Brand is taking a senior executive post at Walmart, after only nine months serving at the DOJ. Brand told an audience at the conservative Federalist Society Thursday that her departure was "bittersweet" and that she would have loved to have served longer. "Something comes up unexpectedly and you just can't pass it up," she said. "That's all there is to it. So, moving on."